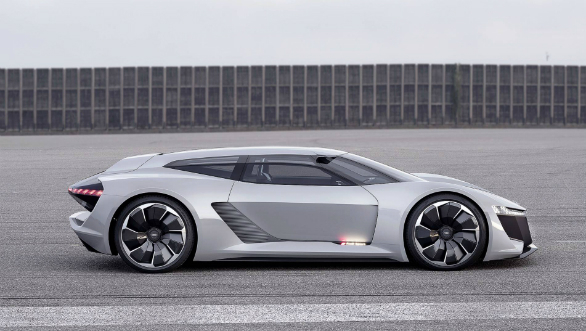 At the ongoing Monterey Car Week being held in California, Audi has come up with a new electric supercar concept called the Audi PB18 E-Tron Concept. Also interesting is the car's design. The PB18 ditches the traditional supercar look and comes as a shooting brake. 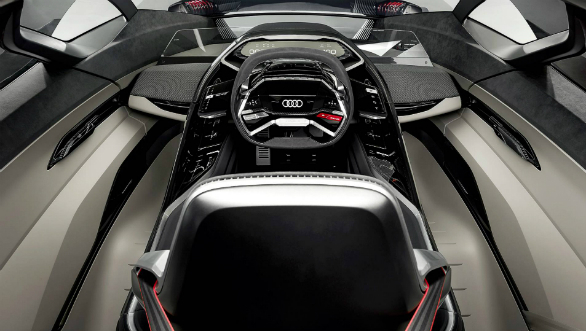 The overall design follows what has been seen on earlier e-Tron concepts but is more aggressive, given this car's brief. The aggressive front end and more purposeful hatchback-like rear work very well with the strong character lines. The PB18"s body is made from aluminium, carbon fibre and other composite materials. The suspension has been heavily inspired by that of the Audi R18 Le Mans car while braking duties are handled by carbon discs. The PB18 stands out even further from the current crop of electric supercars with its interior layout. The dash and instrument cluster is a transparent OLED screen which all the data to the driver. But the party trick here is that the entire monocoque including driver's seat and controls can move positions. It can either be placed in a central position for more spirited driving or can be placed on the side. 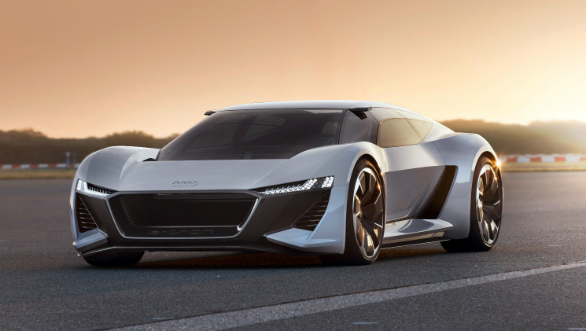 There is no word yet on whether the PB18 E-Tron will make it to production. The supercar concept stands out with the way in which it defies the current norms for what makes for a desirable car. The shooting brake styling and lack of autonomy show this to be a project which has been undertaken with the sole focus on enthusiasts.